CLOSEOUTS. 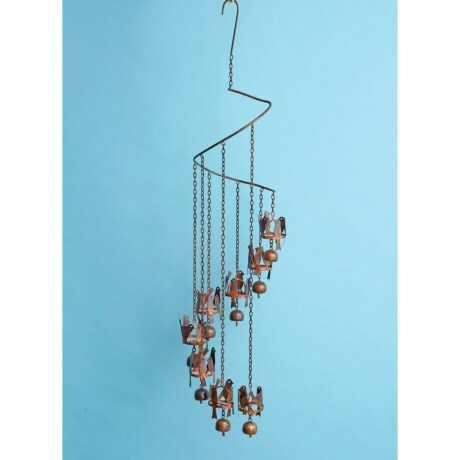 Add a touch of whimsical style to outdoor spaces with this Ancient Graffiti Birds with Bells spiral mobile ornament. Available Colors: SEE PHOTO.